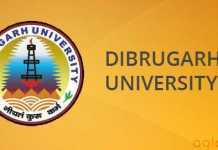 Dibrugarh University Research Admission Test (DURAT) invite applications for Master Degree holders of recognised Universities. The candidates those who are interested in applying for DURAT 2018 are required to fill their application form online through the official website. Candidates are requested to read the complete information related to DURAT 2018 before filling the application form. Get DURAT 2018 Application Form complete information here. Latest: Application process for DURAT 2018 is over. Candidates are able to fill their application form from the official website. Candidates are advised must ensure their eligibility criteria before filling the application form. Step 1: Click on the link given above on this page. Register by entering Your Full name, a Username, Your Mobile No and a Password. You will get an “Activation Code” in your mobile. Enter your Mobile No and the Activation Code and click “Activate” button to activate your account. Step 3: Fill up the form stage by stage .Click Save & Continue after each stage. Upload the required documents. You can access the saved information anytime and modify it before final submission. The candidate shall be required to register in the portal www.dibru.online by entering Full Name, User Name, Password and a Mobile Number to login. The candidate will get an “Activation Code” in the mobile which is to be entered for Activation. After Activation, the candidate shall be required to log in with his/ her User Name and Password and shall be required to fill in the Online Application Form with correct and appropriate information. The applicant shall be required to pay the DURAT Fee of Rs. 600/- only through the online payment gateway by using Debit Card/Credit Card/ Internet Banking during the submission of the form. No other mode of payment is acceptable. The applicant can save and review the information entered before submission, which can be edited on subsequent login. However, after submission, editing of information shall not be possible. On submission of the Online Application Form by an applicant, an Admit Card with a Unique Number shall be generated against each successful submission of Application. The Candidate shall have to take a print out of the Admit Card and bring it to the Examination Hall on the Date of the Test for verification. The Submission of Online Application Form shall be automatically closed after the last date. There shall be no alternative procedure for Application for appearing in the DURAT 2018 and the University shall not receive the Application Fee except through the procedure mentioned above. 1. Scanned copy of your photograph (The file should be less than 512kb and maximum resolution – width: 180px & height: 200px). 2. Your scanned signature (The file should be less than 512kb and maximum resolution – width: 300px & height: 60px). 3. Scanned copy of your final Marksheet/ Gradesheet of the qualifying examination (The file should be less than 512kb and must be in jpg format). 6. A valid mobile number for sending Activation Code or OTP(One Time Password). 7. Any of the following facilities for online payment of application fee. The Application procedure of the DURAT including the Schedule is prescribed in the Detailed Notification. 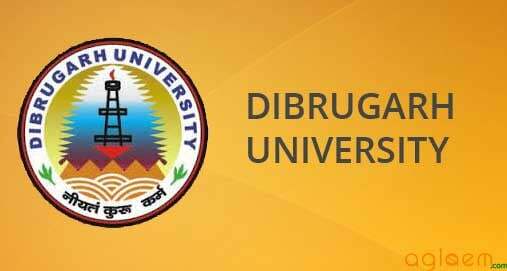 DURAT shall be conducted to select eligible candidates for admission to the M.Phil and Ph.D. programmes of Dibrugarh University. The number of seats available in the Subject concerned shall be ascertained by the Departmental Research Committee concerned. A candidate intending to appear in the DURAT 2018 shall be required to obtain at least 55% marks OR equivalent grade point in the Masters degree, in which he/ she intends to appear in the DURAT. Candidates belonging to the reserved categories of SC/ST/ OBC (Non-Creamy Layer) and the Differently Abled Persons, shall have 5% relaxation in the marks or an equivalent relaxation of grade in the qualifying degree. The DURAT Board shall recommend to the Vice Chancellor the panel of Paper-setters, Moderators, Tabulators and Examiners for approval. The minimum marks for qualifying the DURAT shall be 50. However, the University shall declare the merit list of the qualified candidates only against the seats available in the subject concerned. The DURAT score shall be valid for the current academic session only. Any matter not covered above shall be considered in compliance with the Dibrugarh University Examination Ordinance (amended upto date).